Kyra Schmidt has been a nurse since 1979. She started her career as a Licensed Practical Nurse in Minnesota. She returned to school in 2005 and completed her Masters in Nursing and Healthcare Education graduating in 2010. In addition to being an Assistant Manager (5 years—Deaconess L&D), Kyra has been a Director of an Obstetrical/Surgical Nursing Unit in Arizona. Until recently, Kyra also worked the night shift at Deaconess on the Labor and Delivery Unit. With more than 26 years of experience working in OB, Kyra has worked in the NICU (2 years) and Neurology Unit (8 years), Peds (1 year). 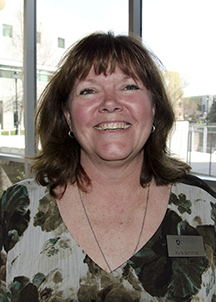 At WSU she’s currently OB Clinical Coordinator, N417 Clinical Instructor, and Sim Facilitator.